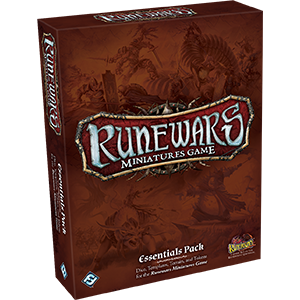 The Runewars Miniatures Game Essentials Pack gives you all the non-figure accessories you need to play the Runewars Miniatures Game. Tokens, terrain, templates, cards and dice are all included in the pack to help field the various armies of Terrinoth. Use upgrade cards included in the pack to further customize your armies, before leading them to glorious victory!